We think that the easiest way to find your way around a city is to choose a centre point and then divide the city into smaller districts. For Birmingham our centre point is the main entrance to the Bullring which is sited at the junction of New Street and High Street. From here you can get to anywhere in the city centre within fifteen minutes. We have divided Birmingham into five districts, and each district is divided into smaller chunks too. The areas are: the City Centre, quite compact with many of Birmingham's main attractions including the Bullring shopping centre; Westside, the city's leisure suburb and home to Broad Street, The Mailbox and Brindleyplace; the Inner City, home to the Jewellery Quarter, Digbeth and Birmingham's independent retailers; the Birmingham Suburbs, the outskirts of the city with good motorway access and ideal for business travellers; and finally the Black Country - Wolverhampton, Dudley and West Bromwich. For simplicity, we have included Solihull and parts of some other counties within the Birmingham Suburbs region. This is the very heart of the city and home to the Council House, Town Hall and the Birmingham Museum and Art Gallery. Shops can mainly be found on New Street, Corporation Street, High Street and the Bull Ring. Parking is relatively abundant but can be costly. This is the leisure and entertainment area of Birmingham. Broad Street is famous for its many bars and clubs, as well as the Barclaycard Arena (NIA) and Symphiony Hall. Diners should explore Brindleyplace and the Mailbox. Birmingham's Inner City is home to the Jewellery Quarter in the north, Digbeth in the south and Eastside with Millennium Point and the new Curzon Street development. Birmingham is a big city and you have to venture out of the city centre to reach many historic buildings. Aston Hall north of the city centre is is one of the city's most treasured buildings. Map showing our centre point for Birmingham. 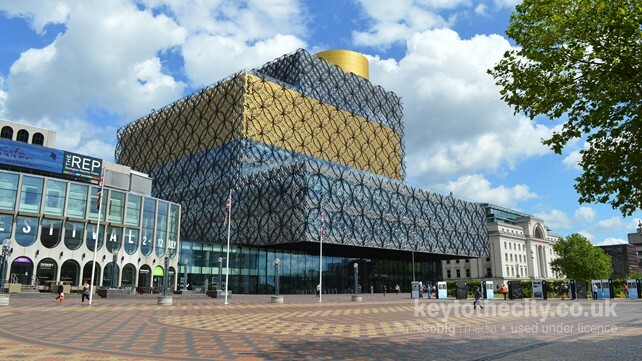 Use the links below to view Birmingham on popular mapping websites.